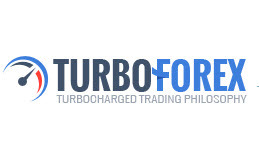 TurboForex is an industry leading provider of forex, commodities and stocks/indices CFD brokerage services since 2012 and registered in New Zealand. Reliability and transparency of TurboForex's business can confirm Financial Dispute Resolution Service of New Zealand, in which consists the broker. For trade the company offers five types of trading accounts and trading platforms as well as for the PC and mobile devices. For beginners there is a possibility to receive training directly on the website: webinars, video courses, articles from professional traders. TurboForex is managed by leading industry professionals and offers the best trading conditions, coupled with flawless execution and the most advanced trading technologies.